My main focus since I began to blog has been to spread awareness about disability by trying to remove the perception that disabled people cannot be, and are not now, a vital part of society. Having fewer abilities because of an accident, birth defect or illness does not make a person inferior. On the contrary, because the truth is that many people living with a disability have faced countless adversities making them stronger and more resilient because of it. They sometimes use their newfound strength to make a positive impact on the world. 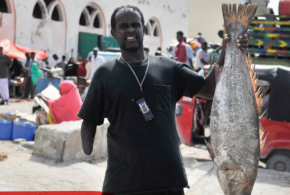 I recently read an article on the website Medium about disabled Somali’s “fighting to be heard”, and after reading it I realized that the plight of the disabled in poorer countries around the world turns the ability/disability conversation up to a whole new level. Somalia is a war-torn country struggling with civil unrest, poverty and heartbreaking violence. People with disabilities are often neglected, abused and discriminated against. According to the article less than 1% of disabled children are enrolled in school. That is appalling. 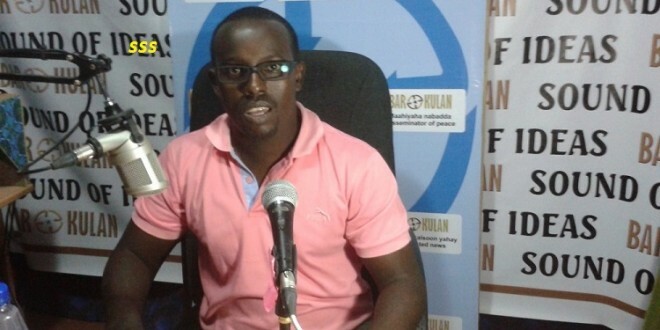 One brave young man, Mohamed Ali Farah, wants to change that statistic. Farah, who’s been living with polio since the age of 3, crawled through the streets of Somalia at the age of 14 to get to school. Despite hot weather conditions while traveling over scorching ground, he knew the value of education and would do anything to get one. 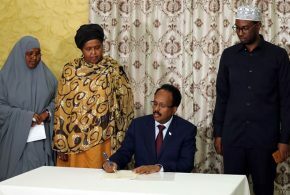 Farah was hesitant to turn to journalists to spread his message about SODEN because local media have often been found to be unscrupulous (bribery is common.) But through workshops sponsored in Somalia by Internews, he has learned the value of using the media and how to use it wisely. 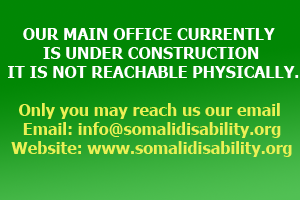 Accurate and comprehensive reporting will get Farah’s message out about the disability community of Somalia far and wide. 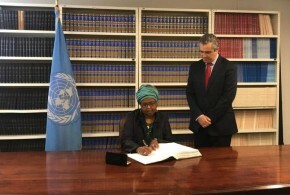 Whether in the United States, Somalia or any country around the world, one important fact is shared by the entire disability community. We all deserve an education. Education leads to knowledge and knowledge leads to an ability to convey our thoughts and ideas. When those ideas are put into action it can make a powerful difference in the world. 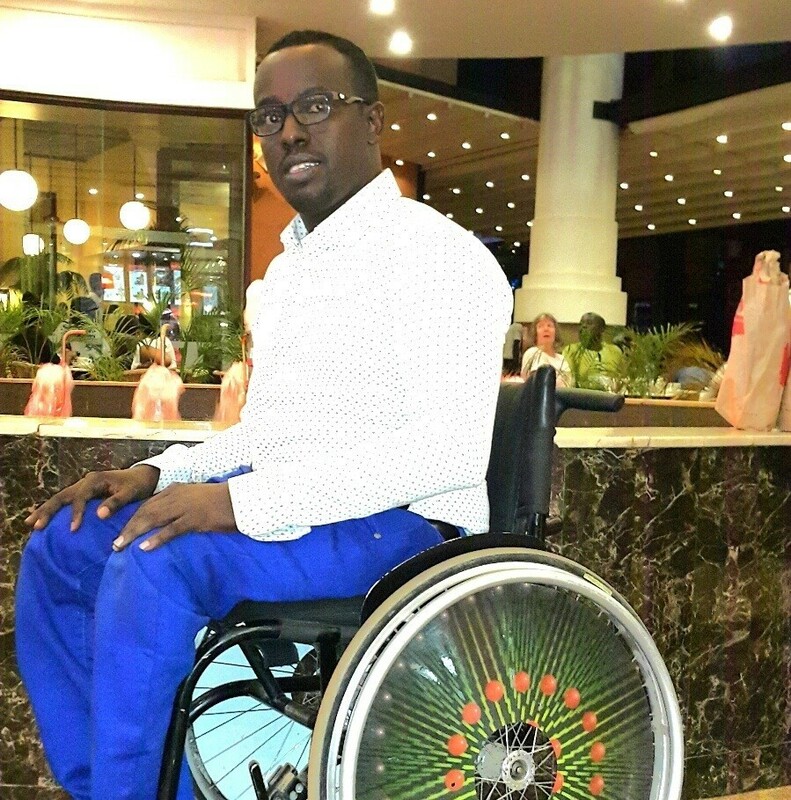 Kudos to the extraordinary efforts of Farah for the work he has done for the disability community in Somalia. It made me proud to read his story, and I hope the important work he is doing continues for many years to come. 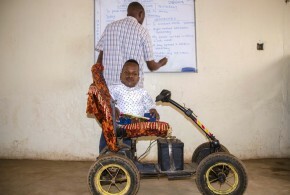 You can read more about Farah, his participation in International Day of Persons with Disabilities and the work of Internews here in the original article that appears in Medium. Cathy Chester blogs at An Empowered Spirit, which won third prize in Healthline’s Best Health Blog Contest in 2014, was named #2 of the “Top 10 Social HealthMakers in MS” by Sharecare “ and received a nomination for the past 3 years as WEGO Health’s Best in Show Blog. She is a contributor for The Huffington Post as well as a blogger for MultipleSclerosis.net and Boomeon. Her work has appeared in numerous publications including Midlife Boulevard, BetterAfter50, Erma Bombecks’ Writers Circle, The Friendship Circle and Woman at Woodstoc.